Did you know that there is a time limit within which you are supposed to claim for any injuries that you might have suffered under workers compensation? This time period varies from state to state, being the reason why it is imperative for you to report your accident at work as soon as possible in order for your injuries to be covered. This means that you should report any injuries that you might have suffered while on job. Even if you are unsure of the injury, prompt reporting will ensure that the employer takes the necessary actions to reduce the probability of injuries happening in the future. Almost every state requires a majority of the employers to obtain insurance for workers’ compensation. This means that the workers will be able to get compensated for most injuries that they suffer at the workplace, even if they are the ones who were negligent. However, workers’ compensation insurance means that employees will not be able to file lawsuits against their employers, meaning that the employers cannot be sued for negligence. The workers will only be liable to receiving compensation—no more, no less. When you suffer an accident at work, it is essential to visit a doctor as soon as possible. If the injury requires for it, you will need to go to the emergency room. However, before you go off to see the doctor, it is always a good idea to inquire if the employer wishes for you to see a certain doctor or not, considering how the fate of your workers’ compensation might be dependent upon it. However, if you are not satisfied by the doctor and how things went at your visit, certain workers compensation laws might entitle you to a second opinion. Typically, the claims for workers compensation are filed by your employer to the insurance company on your behalf. However, for them to file your claim, it is essential for them to know that you have been injured in the first place. If you reported the accident but did not know that you were injured at the time, it is imperative for you to report the injury as soon as it is discovered. When you take it all into perspective, you have to say that workers compensation is a wonderful respite for such workers and employees, in particular, whose job descriptions are fraught with danger and challenge. However, in order to ensure that you are able to make the most of your workers’ compensation claim, it is essential for you to follow through all the required procedures so that your claim is filed in the manner that is necessary. If you have suffered an accident at work, there is no time to waste. Call Attorney Javier Marcos for help. 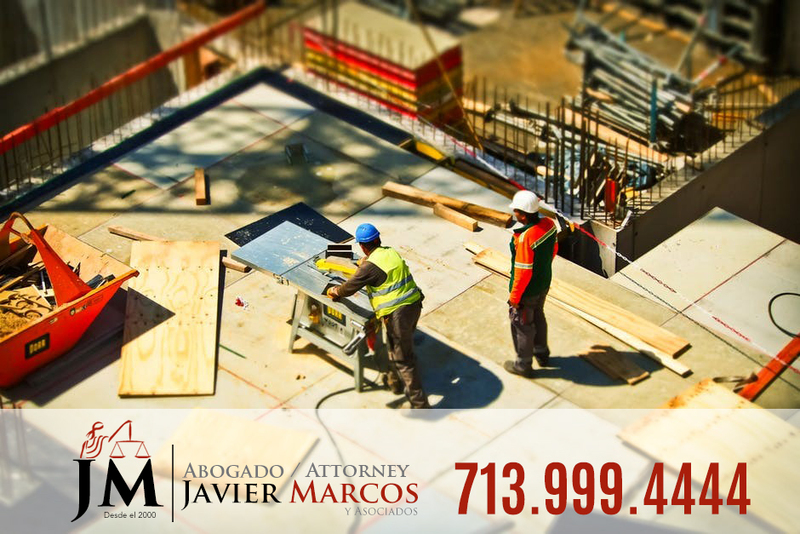 When you suffer an accident at work, call 911, then call Attorney Javier Marcos for help in your case. Call 24 hrs 713.999.4444. Do not speak with the insurance company. They ask questions to try to minimize your compensation. Let Attorney Javier Marcos speak with them. There is free consultation and no payment unless we win the case. Receive medical attention without cost.